The Pound opens the new week with gains against the Canadian Dollar with the GBP/CAD exchange rate quoted at 1.7465 at the time of writing, having opened the week at 1.7422. However, the Pound is down over a percent against its Canadian partner on a rolling month-on-month basis. Concerning the outlook, the trend is overall neutral as the pair has continued to trade in a narrow sideways range, and only a breakout either higher or lower would provide confirmation of a more directional bias one way or another. GBP/CAD rallied in a channel during the second half of 2018 and then peaked in March when it broke temporarily out of the top of the channel and touched the 200-week MA, after which it reversed and started falling. The brief channel breakout higher could either be interpreted as a very bullish or bearish sign. It could be a sign of exhaustion, and, therefore, indicate a peak in the uptrend and a reversal lower. On the other hand, the breakout could, in a more conventional way, indicate underlying bullish strength. Time will tell which is the true interpretation but for now, the trend is neutral and sideways. The daily chart shows the parameters of the range and the confirmation levels which would need to be surpassed for the exchange rate to gain a more directional bias. A breakout above the 1.7800 peak highs would reinvigorate the uptrend and probably lead to a move up to target at 1.8000. A break below the range lows at 1.7327 would be a more bearish sign and open the way to a decline down to the next key support level at 1.7120 and the 200-day moving average (MA), since large MAs often act as important support levels propping up the price for a while or even generating a complete reversal. Are you looking to move your money into, or out of New Zealand Dollar? Get in touch with a currency market professional to discuss timing and strategies to minimise costs while maximising on market-beating exchange rates. The dealing team at RationalFX have access to exchange rates priced at notably superior levels than market competitors or banks, creating an opportunity to save thousands on transactions. Get in touch now to find out more. The key releases on the horizon for the Canadian Dollar are the Bank of Canada Business Outlook Survey, inflation data, retail sales and balance of trade data. Another influence could be Chinese GDP data, as well as more general themes around global growth and trade. Monday sees the Bank of Canada release its Business Outlook Survey, which "will be the highlight in a busy week of data," says Sue Trinh, a foreign exchange strategist with RBC Capital Markets. 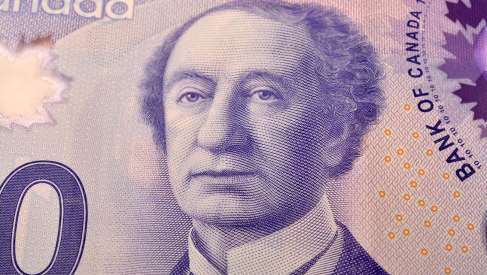 The findings of the survey could well influence the thinking of the BoC ahead of their April 24 meeting regarding where to push interest rates over coming months, a more robust survey would therefore play positive for CAD. "While recent comments from BoC Governor Poloz indicate that investment intentions are holding up well, some of the other activity measures may slow in part related to declines in oil and gas output," says Trinh. Analyst at TD Securities are bearish into the event saying, "we expect the report to have a dovish tone, as a murkier global outlook weighs on investment intentions and expectations of future sales." Canadian inflation data out on Wednesday at 13:30 B.S.T. is expected to show a 0.6% rise in March, which would reflect a slowdown from the 0.7% registered in the previous month. Year-on-year, however, inflation is forecast to rise by a stronger 1.8% than the 1.5% previous result. Inflation has a bearing on what level central bank’s set interest rates and these are correlated to currencies. The higher inflation is, the higher interest rates are likely to rise, and the stronger the home currency is likely to get. This is because higher interest rates attract and keep greater inflows of foreign capital. “Bank of Canada (BOC) rate expectations are firming and markets have almost fully priced out any risk of easing for July,” according to Shaun Osborne, chief FX analyst at Scotiabank, so the market could be especially interested in the inflation data out on Wednesday at 13.30 BST, and an unexpected rise might lead to a corresponding increase in CAD - or translate into a fall in GBP/CAD. In relation to this theme, another release which could be pertinent to BOC monetary policy and interest rates is the BOC’s own business outlook survey released on Monday at 15.30. Retail sales data for March is forecast to show a 0.5% rise from -0.3% in the previous month when it is released at 10.30 on Thursday. The trade balance is forecast to show C$-3.5bn deficit in February compared to -4.25bn in previous month when released at 13.30 on Wednesday. Another fundamental driver, historically speaking, anyway, of the Canadian Dollar is the price of crude oil, especially Canadian crude, which often trades at a discount to regular crude. The price of Canadian oil has risen steeply in 2019 after the Alberta government enforced production cuts to try to prop up prices, which had fallen to only $10 per barrel. This tactic now seems to have worked give the price has risen back up to above $50 pb. Generally higher oil prices support the Canadian Dollar, but recently the link between the two appears to have disconnected so oil may not be such a factor in the short-term until the correlation is restored. “An examination of one-month correlations confirms that the CAD’s typically healthy relationship with oil prices broke down almost entirely early last month: correlations dropped from a near 60% daily average through February to negative correlations in its aftermath," says Neil Mellor, Senior Currency Strategist with BNY Mellon. The Canadian crude index has eased off its highs in the last week but despite this there is a suggestion that CAD has risen along with the other major commodity currencies as a result of the brighter global outlook for commodities in general, according to Scotiabank; and this could suggest the correlation between currency and oil is not altogether dead. “The CAD is strong, entering Friday’s NA session with a 0.4% gain and rising in tandem with its growth-sensitive commodity currency peers AUD and NOK in an environment of broad-based risk appetite. 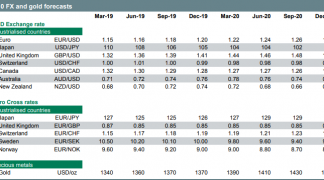 The market tone is dominating as participants assess the latest impressive lending figures out of China and consider their implications for global growth,” says Osborne.